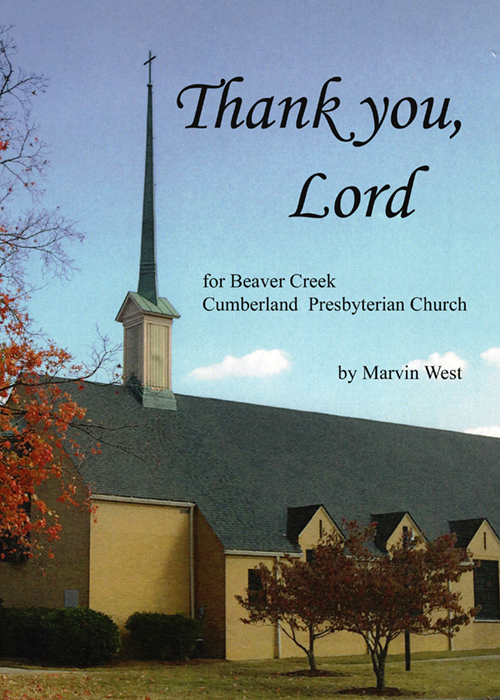 Beaver Creek Cumberland Presbyterian Church has a new history book, “Thank you, Lord,” written by a member, Marvin West. 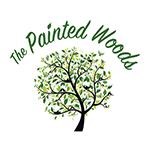 The book traces the beginning of the denomination to a three-man 1810 meeting at the log-cabin home of the Rev. Samuel McAdow, beside Jones Creek, in what became Burns, Tennessee. A replica of the cabin is in Montgomery Bell State Park. The Beaver Creek congregation was formally organized in 1832 at what was then Menifee’s Meeting House, at what is now Bell’s Campground. The first Beaver Creek building was “near enough” to finished in 1872. The second church, built in the shadow of the first, was and remains a beautiful work of art. Dedication was Dec. 1, 1963. The book details the church’s survival of the Civil War, attempted reunification with the Presbyterian Church USA and the Great Depression. It continues to present day. The book tells of the many ministers through the years. Special emphasis begins with L.C. Bromley, starting in 1938. Prominent are Jean Richardson, Dr. Tom Campbell, E.H. Denman, Warren Mounts and Dr. Thomas Sweet, the current pastor. There is the compelling story of Thomas and Rhonda Sweet, in a hospital waiting room on September 11, 2001, hearing the terrifying news that their three-year-old, Levi, had acute lymphocytic leukemia. In the background, on TV screens just above the doctor, the twin towers of the World Trade Center were burning and falling down. Levi Sweet recovered. He became an honors graduate of Powell High School, volunteered with Enhance Powell and is now a UT freshman in the Pride of the Southland band. The book is $25 at the Beaver Creek church office, 7225 Old Clinton Pike. It may be ordered by mail from Westcom, P.O. Box 38, Maynardville, TN 37807. The book is a gift from Marvin and Sarah West to the church. All proceeds go to the church general fund.